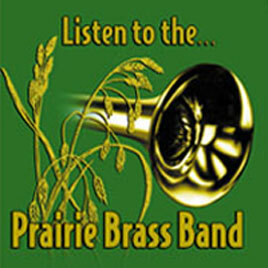 Enjoy the sounds of the holiday season performed by your favorite brass band! 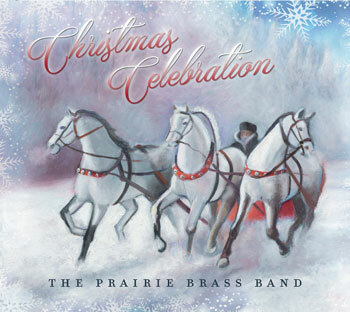 Selections include Winter Wonderland, The Holly and the Ivy, A Christmas Celebration in Brass, Ding Dong Merrily on High, White Christmas and many more. 15 beautifully arranged holiday selections to brighten your holiday season for years to come. The cost of the album is $9.99 for download or CD. The cost of the CD is $17.00, which includes $2.00 for shipping. 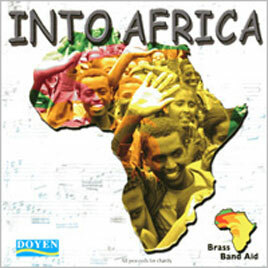 Into Africa - Brass Band Aid - A compilation of African-themed brass band music composed by well-known composers and performed by brass bands around the world, including the Prairie Brass Band. All proceeds from the sale of the CD will go to Brass Band Aid and will contribute to the building of a new school in the town of Adet in the north of Ethiopia. The cost of the CD is $20, which includes $2 for shipping. Order your copy today!